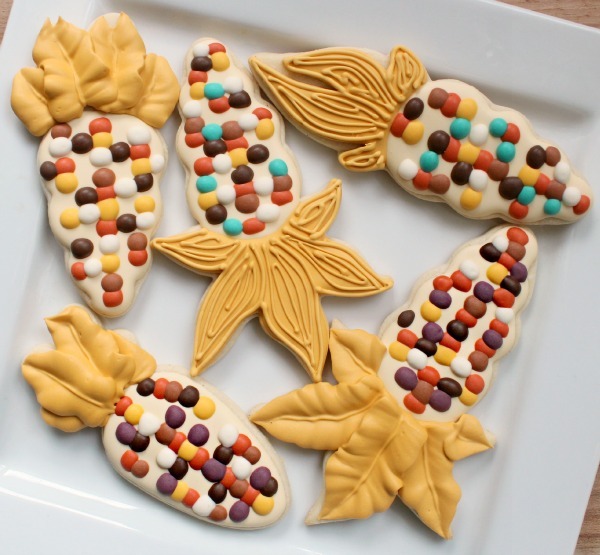 Now that we’ve covered Indian corn colors, I thought it would be fun to make a few Indian corn cookies. but any of these worked well also. 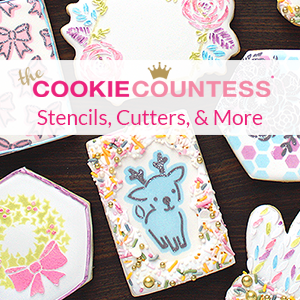 For info on where I purchased these cutters, check the bottom of this post. Every time I use my plastic carrot cutter, it reminds me to share a little tip. I got it last year as part of an Easter set sold in Walmart stores but the connection between the carrot and stem was so thin, it was impossible to use. So, I enlisted my handy dandy husband and a pair of tin snips to fix the problem. The moral of the story? 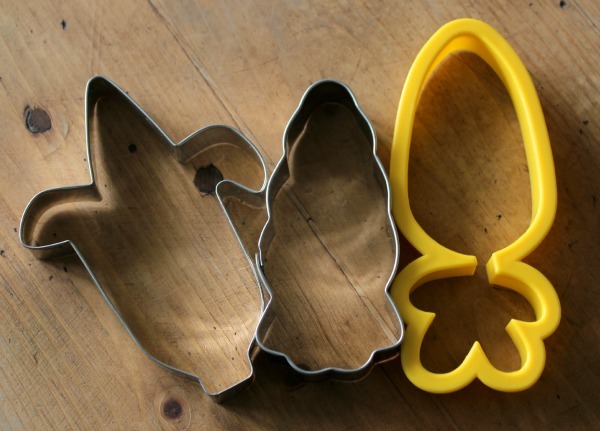 If a cutter isn’t working for you, do not be afraid to adjust it a little. The end. 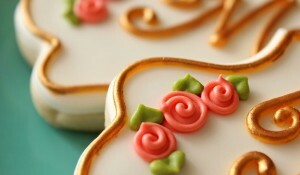 Begin by flooding the “cob” area of the cookie with lighter gold 20-second icing. Let the base dry, then begin adding kernels progressively, giving each color a little time to dry in-between. 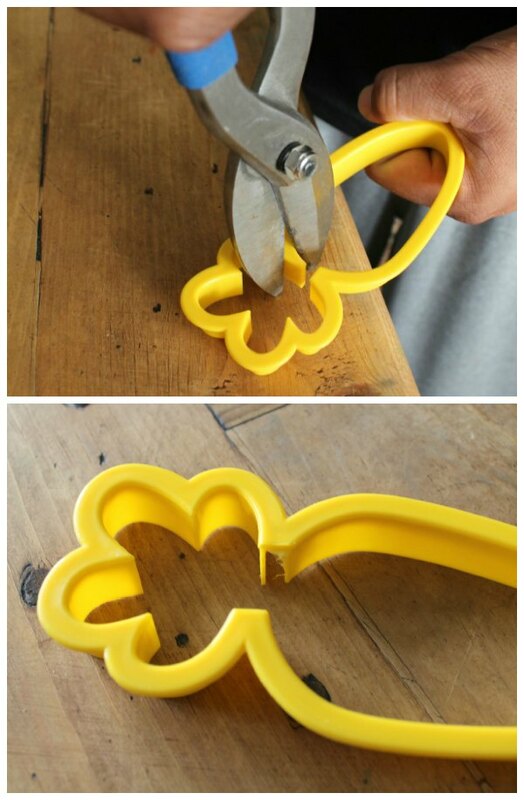 This will give the cookies a lot of dimension. I finished up with ivory kernels to make the other colors pop. 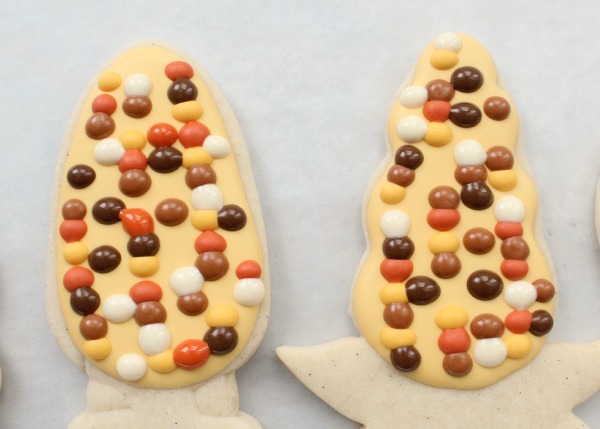 Keep in mind, you do NOT have to fill the entire cookie with kernels. I think they look best with a little space showing and you could drive yourself crazy working that hard. Once the kernels have dried, add the husks. You can either outline, flood, and then use a smaller tip to add detail OR add leaves using a leaf tip. I used a #112 tip, which is kind of funky because it doesn’t take a coupler, and it seemed to work well. 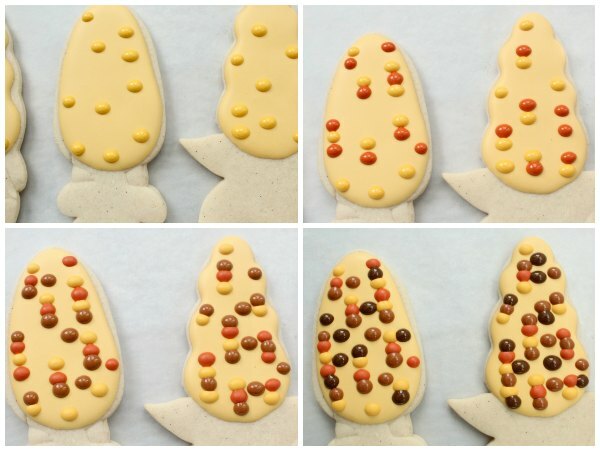 If you make thin flood icing for the kernels they’re more likely crater…so, use thicker icing and a fan or a heatgun…whatever it takes to keep those kernels pretty and puffed! 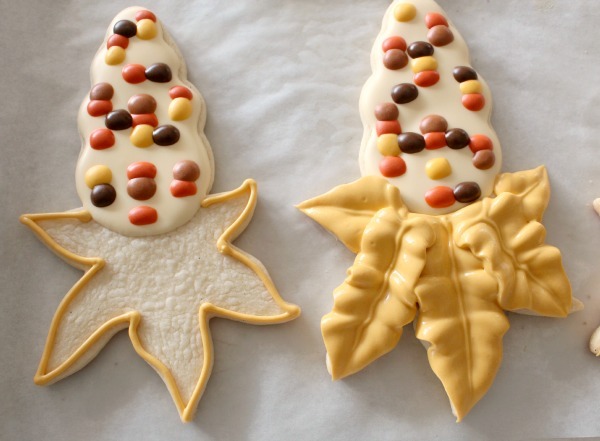 Also, if you go with the leaf tip, make stiff-ish rather than super stiff icing for the husks. You don’t want anyone breaking a tooth on the icing since it covers such a large portion of the cookies. When you use your imagination the sky is the limit. 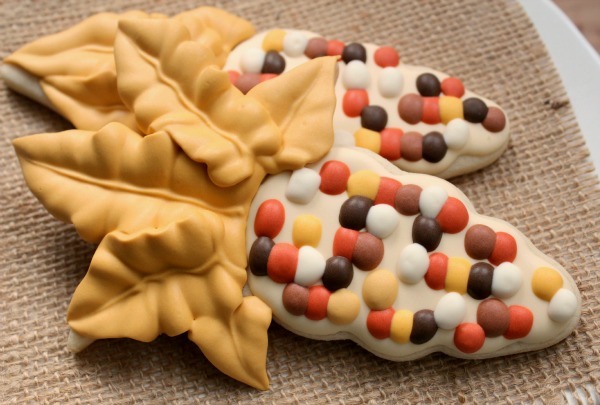 I cannot wait to see the creations that the Thanksgiving holiday is going to bring. I hope everyone has a relaxing and easy few days to come. so cute, I love the little bit of blue in the ones at the bottom. I love them. I am a lurker and check out what you have done lately at least everyday! 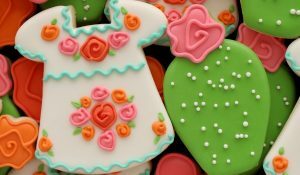 I love to bake but have always avoided sugar cookies unitl last years cookie decorating get together. I used your recipe and the cookies were amazing! My most recent were Mr Potato Head pumpkin cookies for my little girls class. Everyone wants my recipe and I send them straight here! Thanks so much for all of the awesome inspiration!!! These are absolutely beautiful! 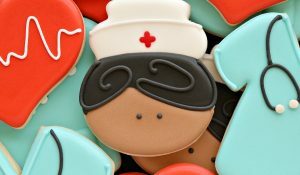 Almost too good to eat. What a great job – thanks for sharing! Love your pop corn. It’s so expensive here to buy pop corn from the cenmia. I can make my own now. Avatar was such a lovely show…mind blowing. awesome! 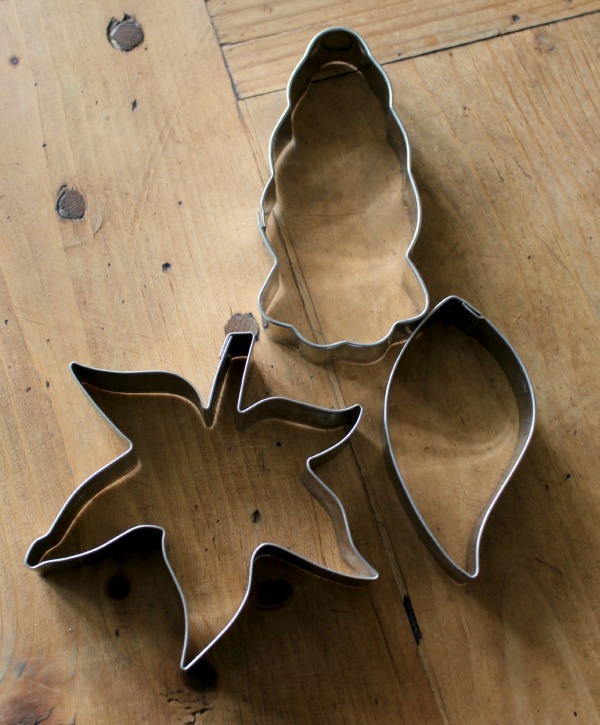 love the idea of mixing up the leaf tips! I love them, its amazing the difference the white makes. 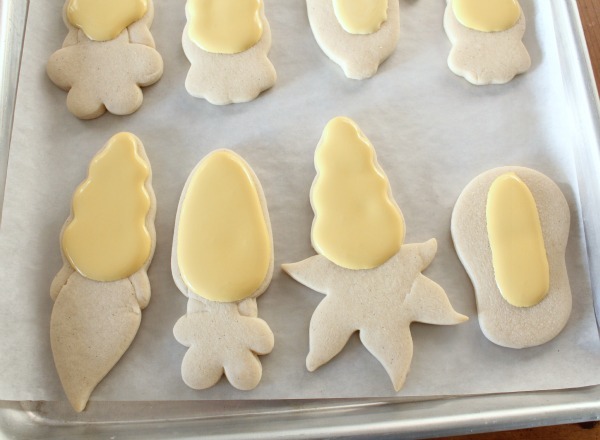 Ok, I’ve been wanting to make corn cookies since last year but just didn’t wanna buy a corn on the cob cutter. 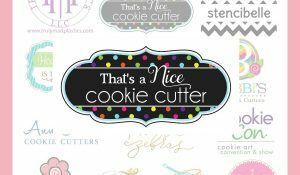 It never occurred to me to use the cutters you listed. Thanks for the tips, especially the one about that carrot cutter stem, mine always break too.